What’s in store for the housing market in 2019? With widening regional divergences, Brexit uncertainty and the threat of further interest rate hikes, the future direction of house prices is far from clear. We speak to eight different property experts to get their views on how the property market may develop in 2019. “Aside from the obvious political and economic uncertainty, the biggest issue for the housing market in 2019 will be the degree to which mortgage payment affordability changes. "Average pay growth is likely to gather pace but, with a further interest rate increase also predicted, house prices are unlikely to be pushed significantly in either direction. “Despite current political upheaval, and on the basis that it is still most likely that the UK exits the EU with a form of withdrawal agreement and transition period, we expect annual house price growth nationally to be in the range of 2% to 4% by the end of 2019. “Uncertainty regarding the future of the UK’s relationship with the EU continues to weigh on confidence. House prices over the last decade have risen faster than incomes which means that affordability remains a barrier, not just for first-time buyers, but for general movers too. These affordability pressures, combined with the added transaction cost of stamp duty, is weighing on activity and has been for some time. We forecast house prices in Great Britain to fall 0.5% in 2019 and then return to modest growth in the next three years. 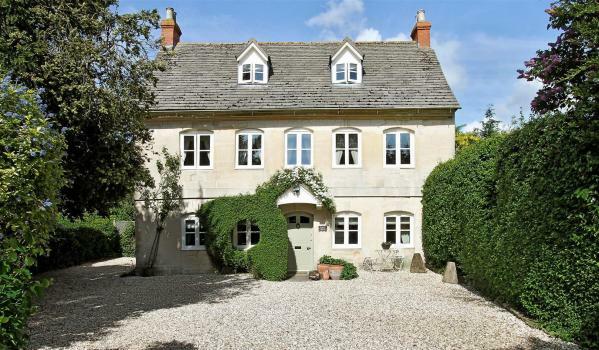 Above: Five-bedroom detached house for sale in Prestbury, Cheltenham, for £1.25m. “The current political environment is far from the only obstacle hindering activity in the housing market with a shortage of stock continuing to present buyers with limited choice, while stretched affordability is pricing many people out. "For the year ahead, this mixture of headwinds is unlikely to dissipate, meaning sales volumes may edge a little lower. On the back of this, house price growth at a UK level seems set to lose further momentum, although the lack of supply and a still solid labour market backdrop will likely prevent negative trends. "Beneath the unchanged national average, the picture is expected to vary significantly across different parts of the UK. The challenge around supply is no less of a problem on the lettings side of the residential market. “The political and economic uncertainty will overshadow the housing market during the first quarter of 2019 and quite possibly beyond. "While potential new home buyers will inevitably be sensitive to the news cycle, housing need will continue to drive demand. "In contrast, some existing home buyers may decide to hunker down and sit out the uncertainty. Current low levels of transactions will persist until a degree of Brexit clarity emerges, assuming some form of deal emerges. “This will protect house prices to an extent but given the underlying unaffordability of many locations, a brake on prices was to be expected and will limit the scope for a good news Brexit fillip. “All the signs are that activity in the housing market is not going to increase next year. I can see no reason why housing transactions will not be similar to this year. “Overall, I think we will see a rise of 1%, with a small fall in London. I don’t think the London market has bottomed out yet, but I am not expecting a significant fall in London prices, as I think most of it is already in the market. “As the impact on landlords of various measures continues to increase, I think what looked like a really attractive business three or four years ago is now less attractive and the number of landlords who choose to reduce their properties will increase. “Uncertainty is the big issue as we look forward to 2019, with much dependent on Brexit. Many people have put off decisions to buy or sell as they await the outcome, so we could see a release of pent-up demand once there is more certainty, whichever way it goes. "Interest rates are likely to remain fairly stable, so mortgage rates should continue to be attractively priced. 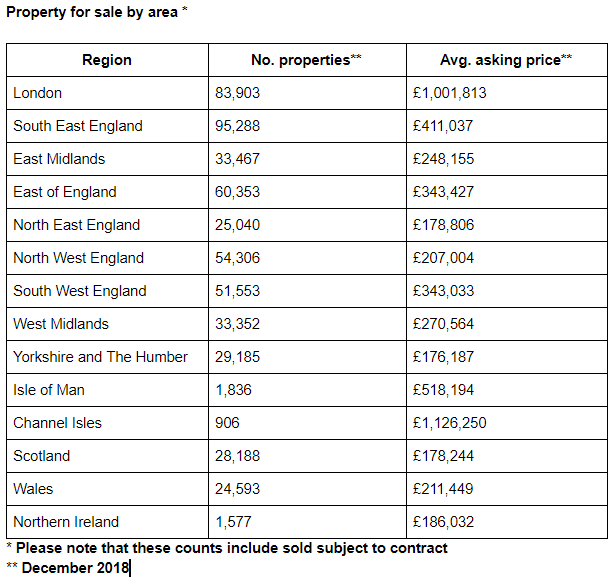 “There are likely to be pockets of house price growth outside of London and the south east. Average property price growth will be flat, but we don’t expect to see a significant correction, as lack of stock will continue to support prices to an extent. Above: Atwo-bedroom, two-bathroom flat in Bethnal Green, London that is up for rent at £2,400 pcm. “We are not expecting a revival in the housing market next year, and with the pipeline of housing sales weakening, transactions are more likely to fall than rise over the next few months. “House prices are already high. New buyer enquiries are falling and transactions are also falling. The market is likely to slow down more as interest rates rise, further impacting affordability. We expect interest rates to increase next year, assuming a Brexit deal is agreed. “That said, there is no indication that house prices are going to collapse either. If a no-deal Brexit is avoided, the outlook for the economy next year is fairly good. We expect GDP growth to pick up and unemployment to stay close to a multi-decade low. “House price inflation is expected to be 2% to 3% in 2019, although much depends on the Brexit negotiations and economic outlook post-March 2019. 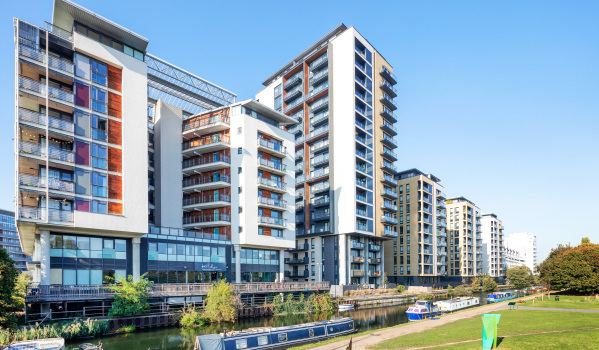 "We expect the volume of transactions to remain around current levels of 2.3 million in 2019 and believe that the fall in sales volumes in London has bottomed out. "Local housing markets will be driven by local economies, and the variations in house price growth will be driven by growth in jobs and earnings across the country. "There is further upside for house prices where the recovery has been weakest to date. London faces an extended period of low house price inflation as capital values and incomes re-align.